This Call to Action encourages foundation Trustees to increase the representation of Black leadership among foundations' staff, vendors, consultants and grantees. 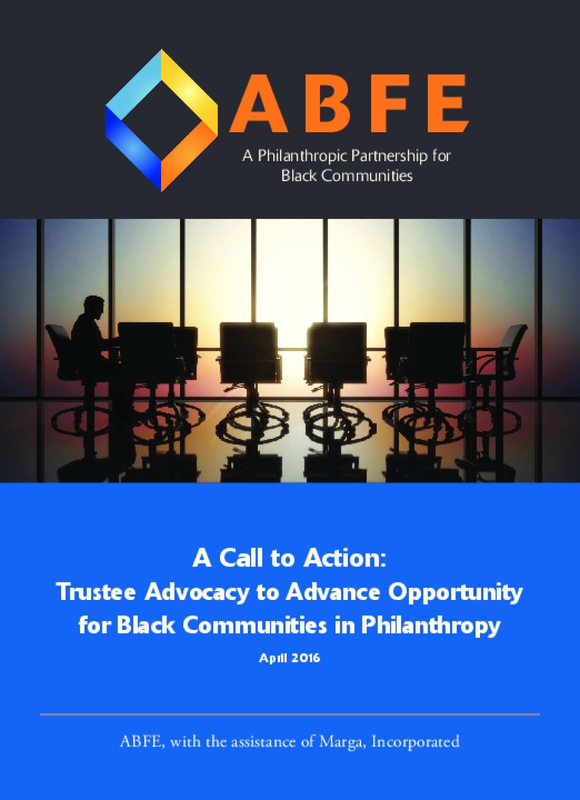 It emerges from the Association of Black Foundation's (ABFE) initiative, "Leverage the Trust", which promotes the role of Black Trustees in making philanthropy more responsive to Black communities. Most would agree that in recent years, the field of philanthropy has begun to take seriously the need to increase diversity within its sector -- and particularly among its leadership. Indeed, we are a long way from the days when the founding members of the Association of Black Foundation Executives (ABFE) stood up at a Council on Foundations meeting to advocate for more equitable representation among Council leadership and in grantmaking institutions more generally. In most major foundations today, it is now commonplace not just to track but to require diversity of staff and leadership both within their own organizations and externally among their grantees.Earlier this year, even the Chronicle of Philanthropy marveled at the progress that American philanthropy has made toward these goals, highlighting the diversity reflected by several major foundations' recent senior hires. "The new executives are very different from the people who held these elite jobs even a decade ago," the Chronicle reported. "They are much more likely to be black, gay, or female and to come from modest backgrounds." 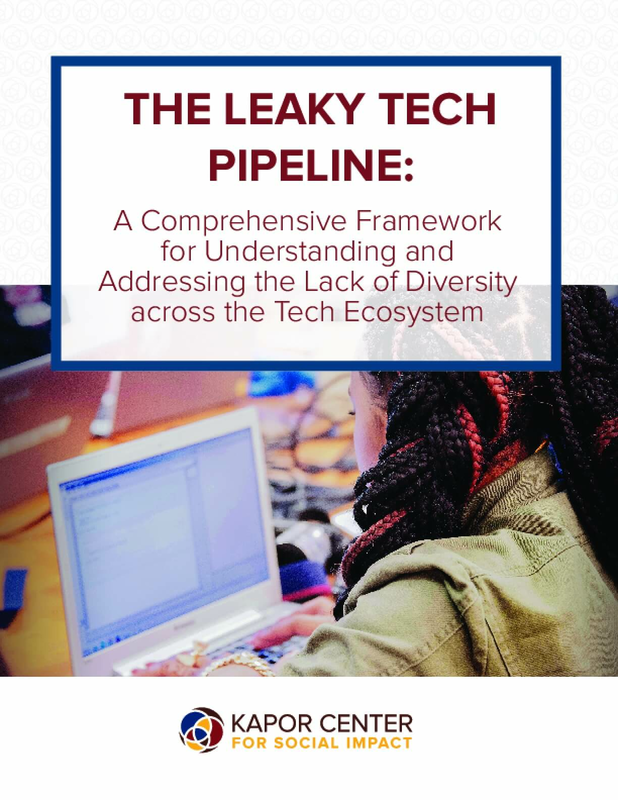 Yet, emerging data suggest that the experiences of many Black professionals in grantmaking institutions may challenge the current thinking on the field's increasing commitment to diversity. 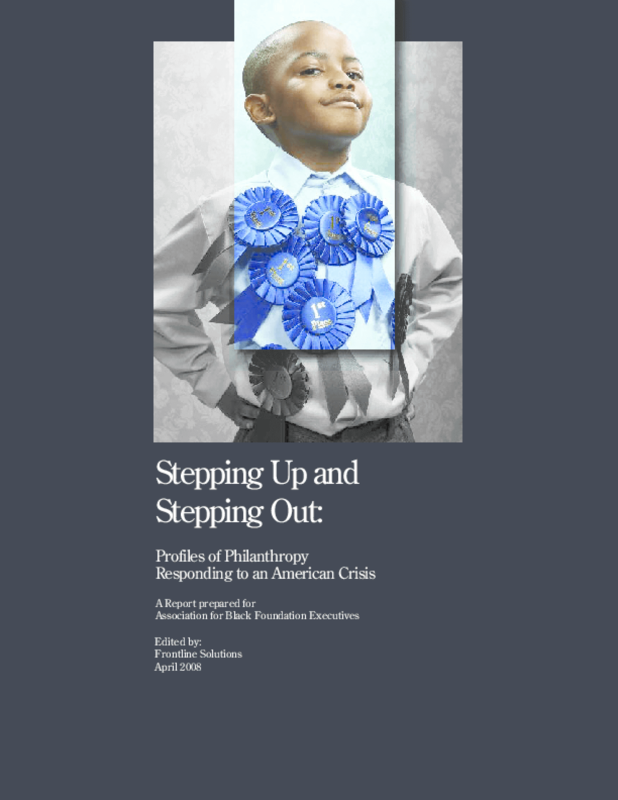 Currently, only 3 percent of philanthropic institutions are led by Black chief executives,3 and the percentage of Black individuals holding trustee positions at philanthropic foundations remains stagnant at 7 percent. Meanwhile, there have been slight declines in the percentage of Black professional staff (from 10 percent in 2010 to 9 percent in 2012) and Black program officers (from 17 percent in 2010 to 16 percent in 2012) working within grantmaking institutions. This decline in overall representation by Black philanthropic professionals in the sector is disturbing not just because it is happening -- but because until now, there has been little data on why it is happening. Why are Black philanthropic professionals leaving the field, and where are they going? Is this trend at its beginning or nearing its end? Most importantly, is there anything that ABFE and its allies can do proactively to address this issue? 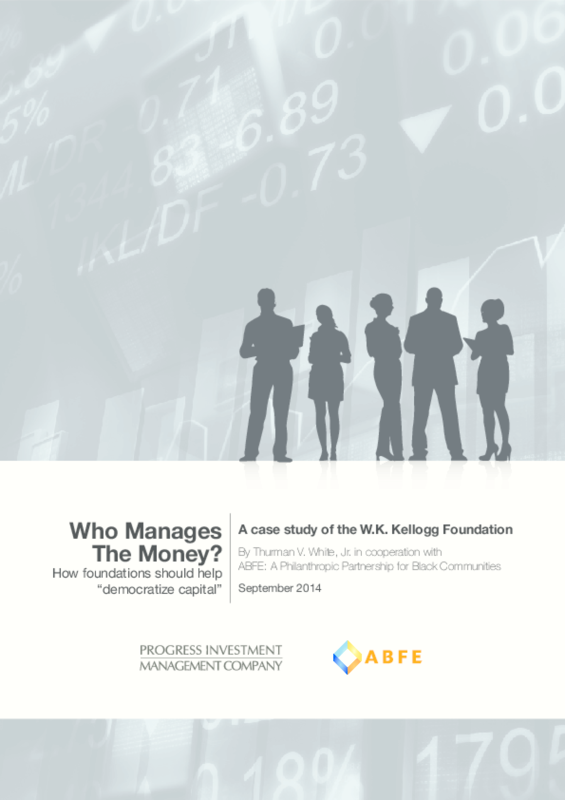 This case study examines how one community foundation -- Silicon Valley Community Foundation with assets under management of $4.7 billion -- approached the issue of increasing investment manager diversity with its investment advisor -- Colonial Consulting which advises $30 billion of capital. These first-person accounts from the community foundation's CEO and the investment advisor provide candid assessments of how they addressed the issue of increasing investment manager diversity. The hope is that by sharing these observations other foundations and their investment advisors will find the courage to discuss and address the issue of investment manager diversity, the hardest taboo to break. 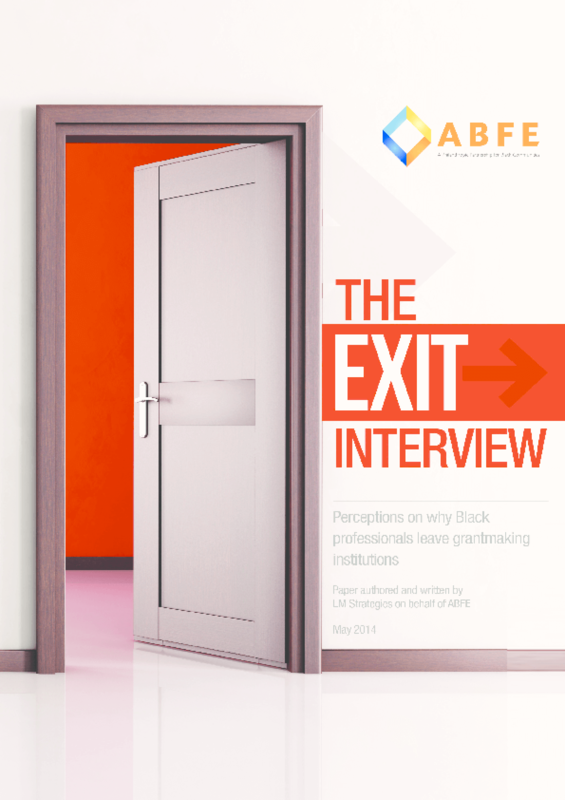 As the first affinity group recognized by the Council on Foundations, the Association of Black Foundation Executives (ABFE) has been an advocate and catalyst for diversity, inclusion and equity in the field of philanthropy. This advocacy has ranged from increasing diversity among foundation leadership and staff, to promoting greater awareness of grantmaking for impact in Black communities. 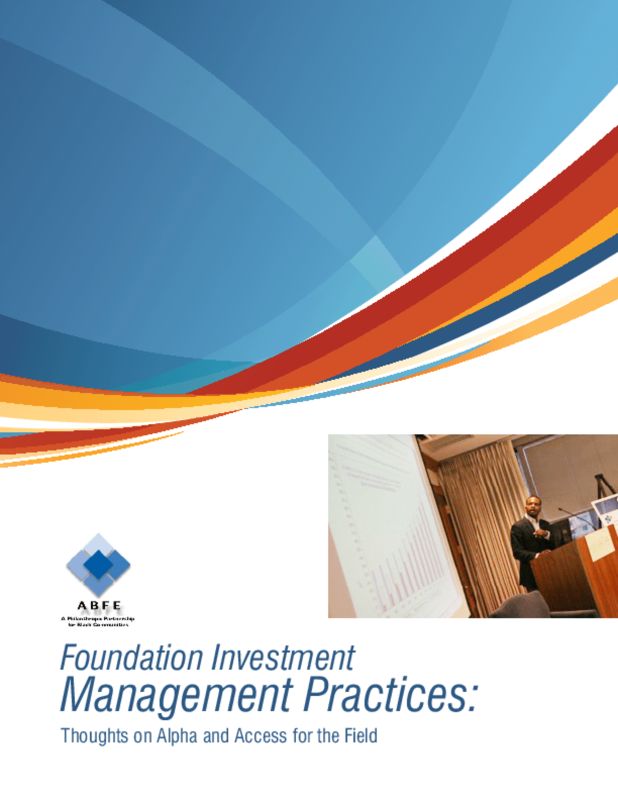 An area yet addressed by ABFE is the inclusion of diverse investment managers in the management of foundation endowments. 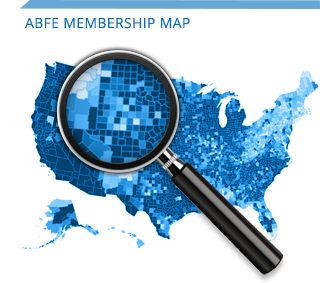 ABFE is extending its advocacy platform to focus on increasing opportunities for minority-owned management firms to act as fiduciaries on behalf of foundations and endowments. 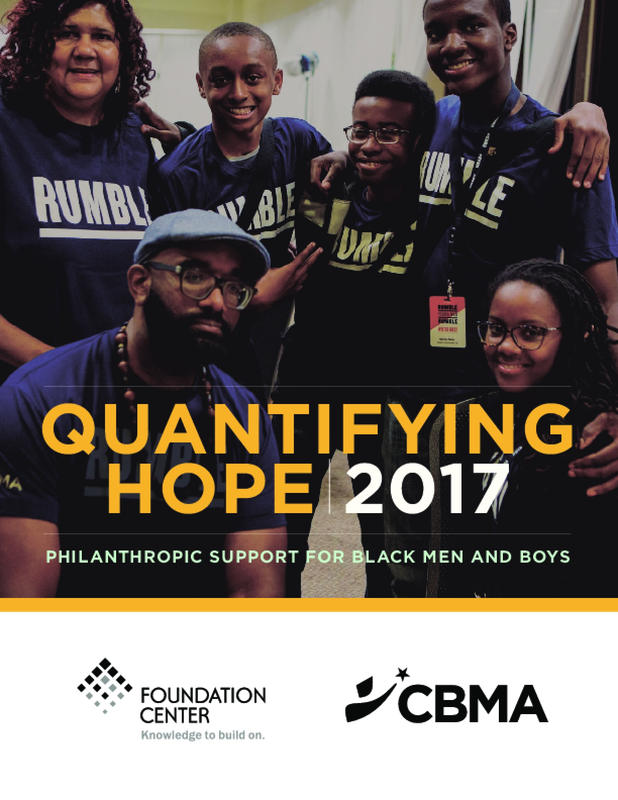 The landscape of California philanthropy for black men and boys presented in this report is promising: It reveals a wide variety of innovative investments, potential for further coordination, and ways that efforts in California can be linked to work being done nationally. 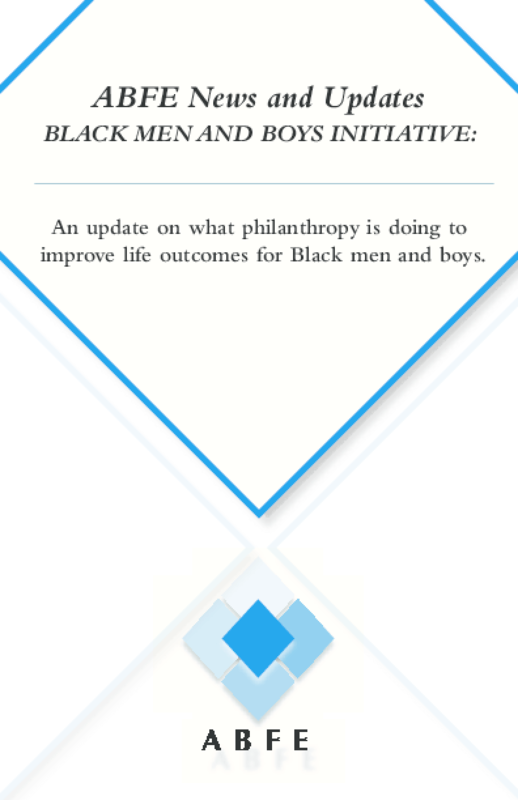 In this special issue of ABFE News and Updates, we take a look at the field of philanthropy's investments and work around improving life outcomes for Black men and boys since the first meeting in 2006. For insight and perspective, we spoke with Shawn Dove, Campaign Manager, Campaign for Black Male Achievement, Open Society Institute; Tina Gridiron Smith, Program Officer, Lumina Foundation for Education; George L. Garrow, Jr. , Executive Director of Concerned Black Men - National Organization; and Carmen A. Anderson, Senior Program Officer, Endowments' Children, Youth & Families Program, The Heinz Endowments. 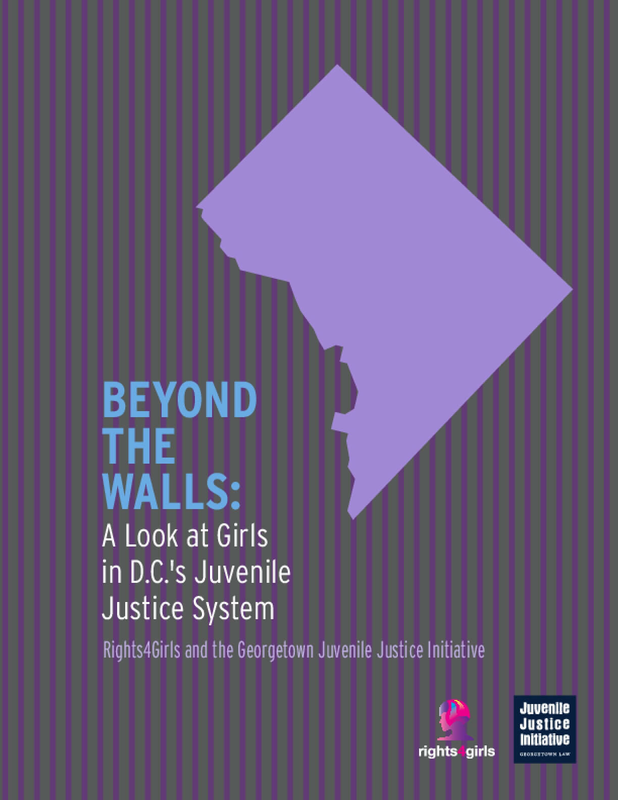 The report examines three issues that have a substantial impact on Black families and Black communities -- foster care, fatherhood and identity development. 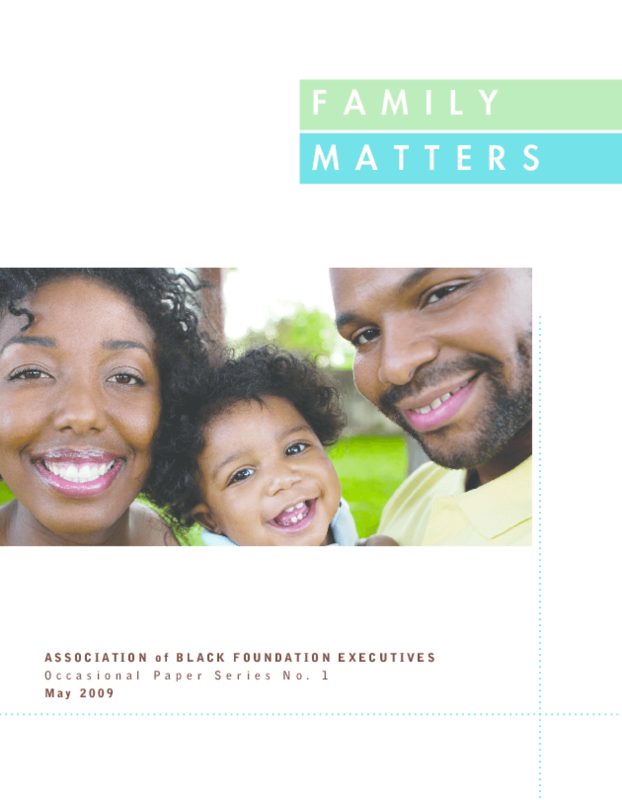 "Family Matters is a must read for not only grantmakers but for policymakers and family and child advocates alike," said Susan Taylor Batten, ABFE's President and CEO. 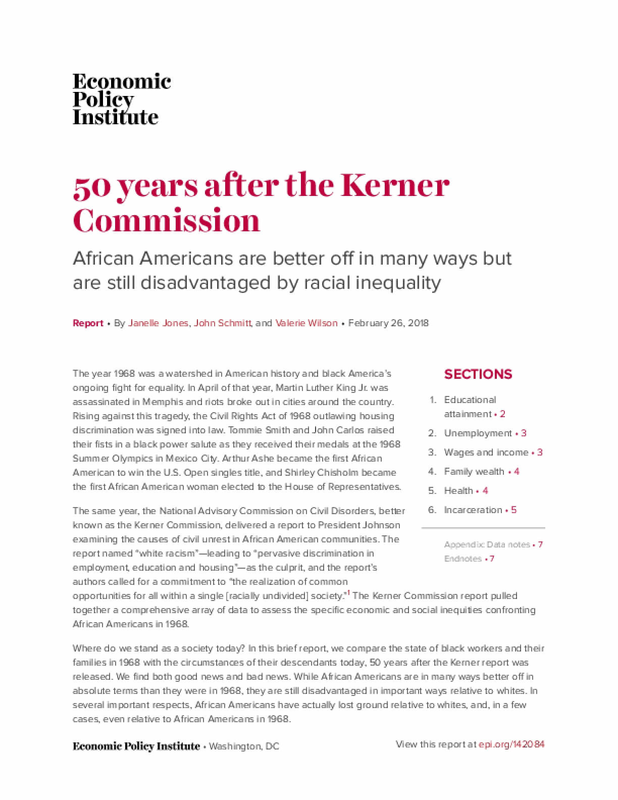 "The investment strategies and recommendations outlined in this report offer important lessons and advice for those of us concerned with the well-being of Black families." 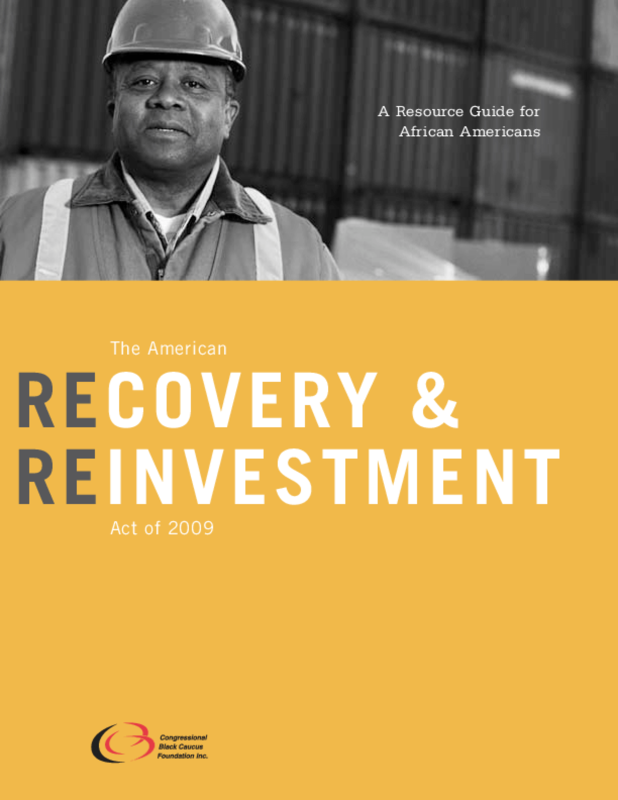 The American Recovery and Reinvestment Act of 2009 (ARRA) -- commonly called the Economic Stimulus Package -- is the most comprehensive economic recovery legislation in the United States since the New Deal of the 1930s. 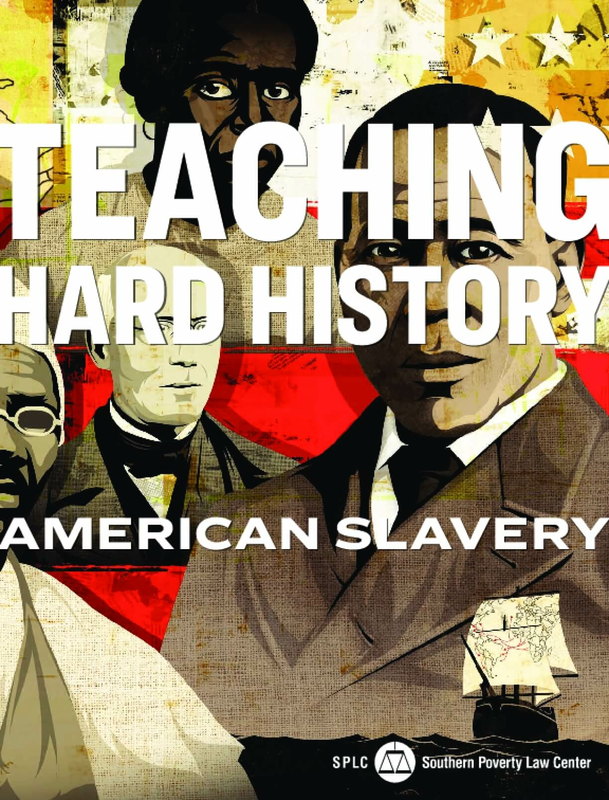 The Congressional Black Caucus Foundation has prepared this resource guide to highlight some of the major provisions within ARRA that are critical to the African-American community. The CBCF supports ARRA because it provides vital resources for improving the circumstances of African Americans who have been disproportionately affected by the current economic crisis. 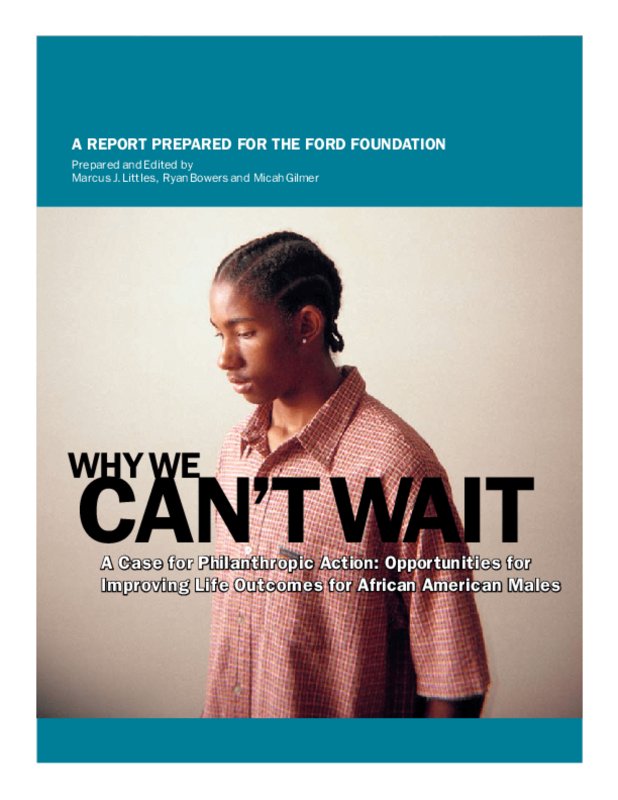 A follow-up to the report, "Why We Can't Wait", this report defines effective philanthropic work in the area of black males, surveys the landscape of efforts underway, discusses challenges and opportunities to advance effective approaches, and outlines a plan of action for individuals and institutions. 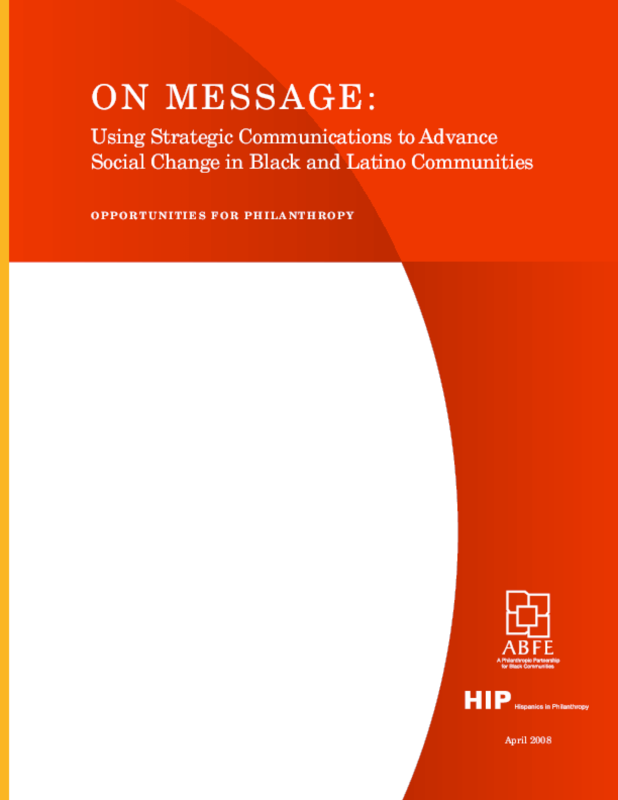 This report aims to highlight examples of efforts involving black- and latino-serving nonprofits that utilize strategic communications to enhance their advocacy work and improve opportunities in communities of color. 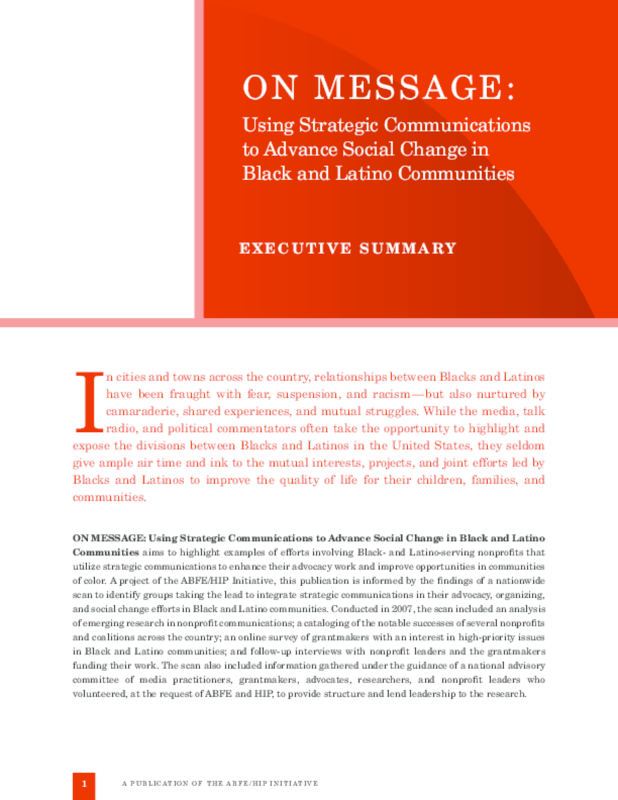 A project of the ABFE/HIP initiative, this publication is informed by the findings of a nationwide scan to identify groups taking the lead to integrate strategic communications in their advocacy, organizing, and social change efforts in black and latino communities. 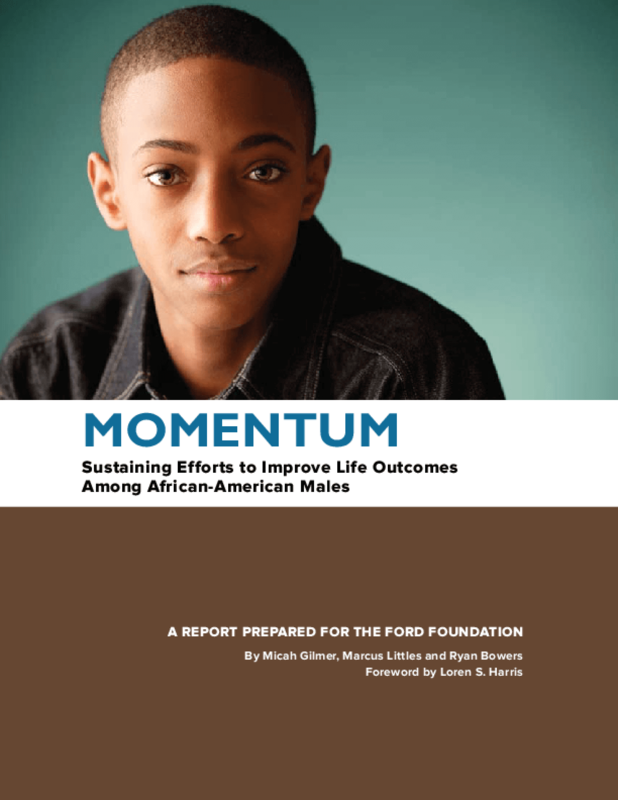 conducted in 2007, the scan included an analysis of emerging research in nonprofit communications; a cataloging of the notable successes of several nonprofits and coalitions across the country; an online survey of grantmakers with an interest in high-priority issues in black and latino communities; and follow-up interviews with nonprofit leaders and the grantmakers funding their work. The scan also included information gathered under the guidance of a national advisory committee of media practitioners, grantmakers, advocates, researchers, and nonprofit leaders who volunteered, at the request of ABFE and HIP, to provide structure and lend leadership to the research. Stepping Up and Stepping Out profiles three philanthropic organizations that are making investments with a specific intent to create opportunities for black males: A Legacy of Tradition, Chicago Community Trust, and Schott Foundation for Public Education. 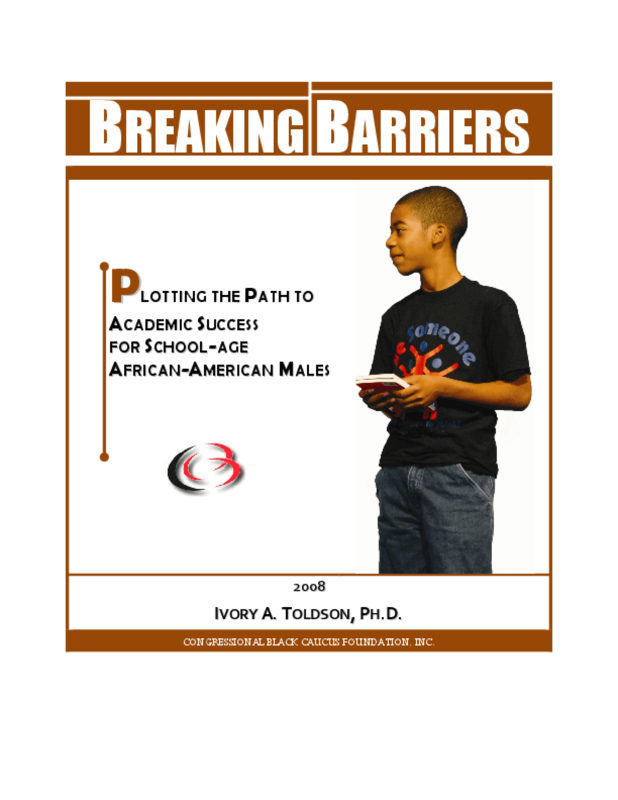 Using four national surveys, this study explores relationships between the academic success of African-American males and a host of variables -- personal and emotional factors, family factors, social and environmental factors, and school factors. Overall, the research points to the benefits of education policies that promote "healthy, safe and supportive learning environments." This paper views men as an entry point for development of low-income, minority communities. 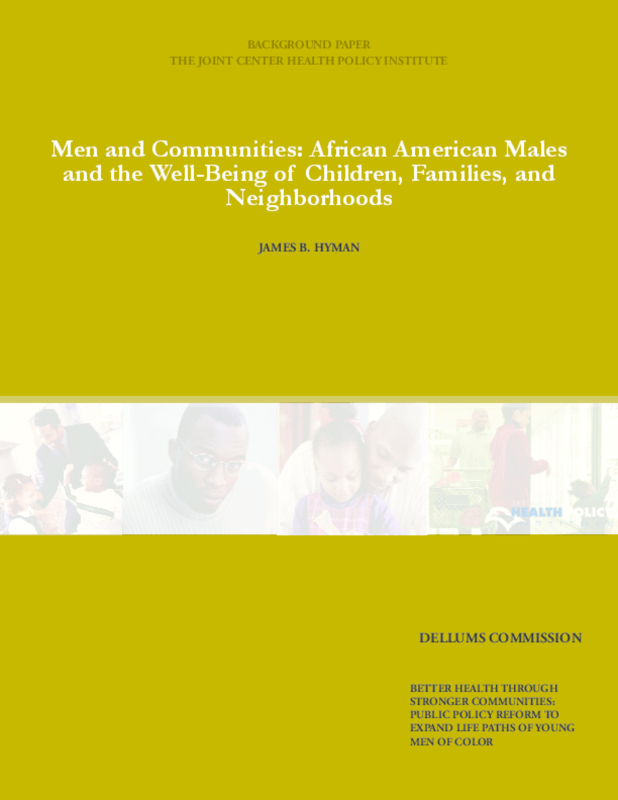 It addresses the question of why men matter to community well-being and presents a framework for seeing the connections between societal expectations, opportunity structures, behavior and choices, and community well-being. In 2012 and 2016, the research center I founded at the University of Pennsylvania released reports on Black male student-athletes and racial inequities in National Collegiate Athletic Association (NCAA) Division I sports. Previous editions of this study received exten-sive coverage on ESPN as well as in The Washington Post, Sports Illustrated, USA Today, and over 500 other media outlets. 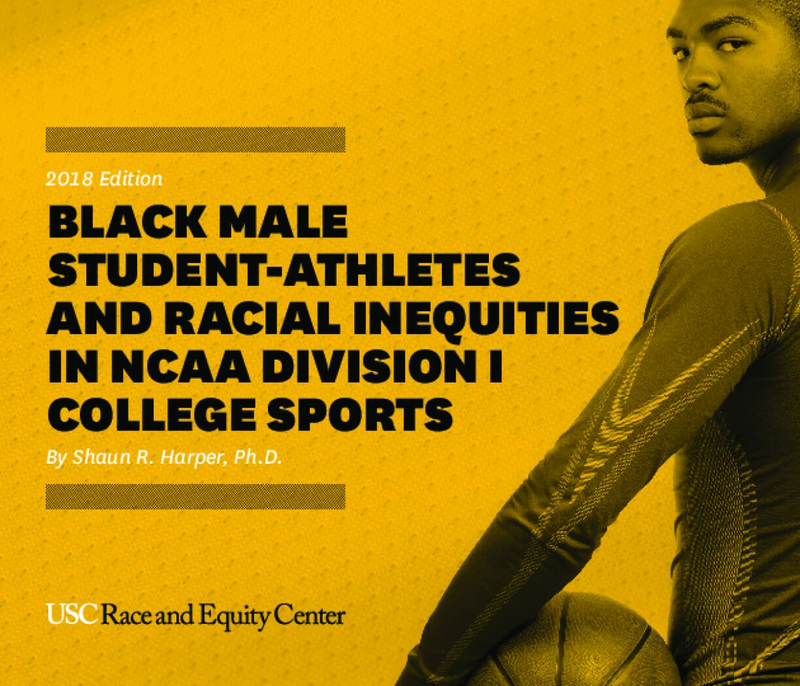 This 2018 edition, published from the Race and Equity Center's new home at the University of Southern California, includes updated statistics from the 65 universities that comprise the Power Five conferences. Transparency continues to be the primary aim of this biennial publi-cation. Data presented herein concerning the overrepresentation of Black male student-athletes are unlikely to surprise anyone who has watched a college football or men's basketball game over the past three decades. Likewise, scholars who study race in inter-collegiate athletics will probably deem unsurprising my updated findings on racial inequities in six-year graduation rates. What I still find shocking is that these trends are so pervasive, yet institutional leaders, the NCAA, and athletics conference commissioners have not done more in response to them. Also astonishing to me is that it seems the American public (including current and former Black student-athletes, sports enthusiasts, journalists, and leaders in Black communities) accepts as normal the widespread racial inequities that are cyclically reproduced in most revenue-generating college sports programs. 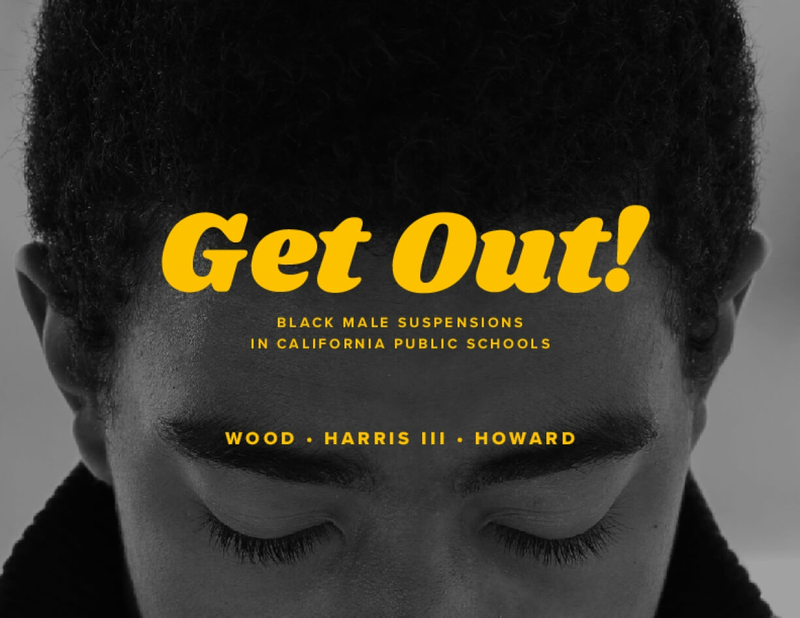 Perhaps more outrage and calls for accountability would ensue if there were greater awareness of the actual extent to which college sports persistently disadvantage Black male student-athletes. Hence, the purpose of this report is to make transparent racial inequities in the Atlantic Coast Conference (ACC), Big Ten Confer-ence, Big 12 Conference, Pac 12 Conference, and Southeastern Conference (SEC). Data from the NCAA and the U.S. Department of Education are presented for the 65 institutional members of these five athletic conferences. Specifically, I offer an analysis of Black men's representation on football and basketball teams versus their representation in the undergraduate student body on each campus. I also compare Black male student-athletes' six-year gradu-ation rates (across four cohorts) to student-athletes overall, Black undergraduate men overall, and undergraduate students overall at each institution.